Thank you for all of your dedicated work for our group, including all of your efforts to resolve our recent hassles with the county contract. As long time clients we continue to appreciate all that you do for us. 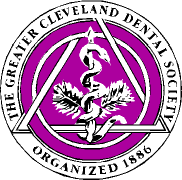 It gives me great pleasure to recommend Benham Insurance Associates Inc.
Members of The Greater Cleveland Dental Society have used the multiple products lines offered through this agency for many years with total satisfaction. Roger Benham is efficient and effective. His business is helping individuals and businesses develop and achieve objectives through various insurance products and services that are designed to adequately meet present and future needs. Anyone in need to insurance coverage should consider Benham Insurance Associates. They will always go above and beyond expectations. Thank you again, for your prompt attention with my Auto Insurance change with my new vehicle. And please let me THANK YOU as well for your superior service with all of my Insurance needs over the years. My family has been with you and Benham Insurance Associates for over 30 years. You do business the “good old-fashion way”- sincere, prompt and hassle-free attention to all my Insurance requirements. It is most appreciated! You and your firm are “5-STAR” in my book! Benham insurance starts with customer service. I have never had to wait for a response to a question that I have about insurance and the constant shifting of requirements. Roger and his staff are prompt, courteous, and value their clients. When starting and maintaining a practice, time is the most valuable possession we have. Roger understands this and delivers all our needs in the most efficient, effortless manner. No sales pitch, or unsolicited recommendations. He values my time as well as my financial needs. He continues to support dentistry as a profession and understands the specific needs of dentistry. I have been with Roger since I started my career and will continue with him throughout my practice. Having worked with Roger Benham and Benham Insurance Associates for over 30 years, I can confidently say Roger and his staff are a top notch agency dedicated to serving the insurance needs of their clients. Understanding professional liability insurance can be a daunting experience for the average insurance professional, not to mention the medical and dental professionals the coverage is meant to insure. Roger knows this line of business inside and out due to his years of experience and keen business sense. He is able to understand the underwriting philosophy of the carriers with whom he works, balancing that knowledge with the knowledge of the risk the client is presenting. He works in concert with the carrier and the client to secure the appropriate coverage. Stability in agents can be just as important as the stability of the carrier. Benham Insurance Associates exemplifies that stability with their history of providing coverage for over half a century. In my humble opinion, having worked with numerous agents and agencies across the tristate region over the years, Benham Insurance Associates is an A+ rated agency for their knowledge and service, one with whom if I were a healthcare professional, I would want to work. 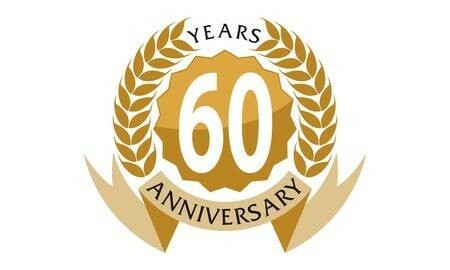 I have been a customer of Benham insurance for over 30 years. Their service is fantastic and Roger and Barb have always been there to answer my insurance needs questions. I have recommended their agency to my friends and colleagues. Benham Insurance received a rating of 5.0 out of 5 based on 7 reviews on IWantInsurance.com.